Good morning, dear tea friends! You must be wondering about the picture above – now where are the tea leaves? They are there. They’ve just been compressed. If you look closely, you can see the outline of a few leaves. 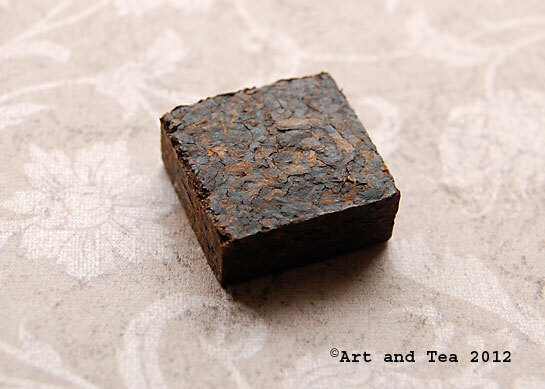 The tea in my cup this morning is called Pu-Erh Mini Squares. I know, I know, it sounds kinda like a breakfast cereal. But, of course, it’s not, it is a rich, full-bodied China tea from the mountainous Simao region of Yunnan province. As I’ve written about before, Pu-ehr tea is divided up into 2 classifications, raw and cooked, depending upon the processing method. This particular tea falls into the cooked category. It undergoes a double fermentation not unlike what happens in a compost pile. The leaves actually begin to decompose, giving them a strong earthy taste when steeped. 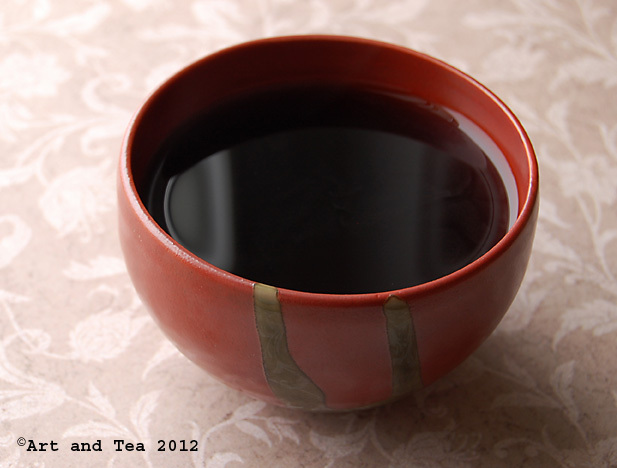 For this particular tea, the leaves have been steamed after processing and then pressed into a large, flat “cake”. After it dried, the “cake” was then cut up into small squares, each square perfect for preparing a 6-8 ounce cup of tea. To aid in full flavor extraction during steeping, I broke the square up into little pieces. This is fairly easy to do with your hand. 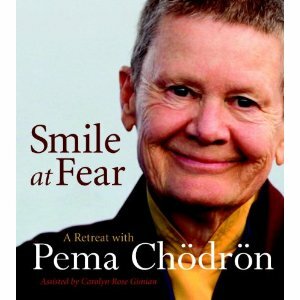 If you experience any difficulty, I find that a hammer helps to start that process. Please watch out for your fingers! I steeped the broken pieces for 5 minutes in boiling point (212 F) water. 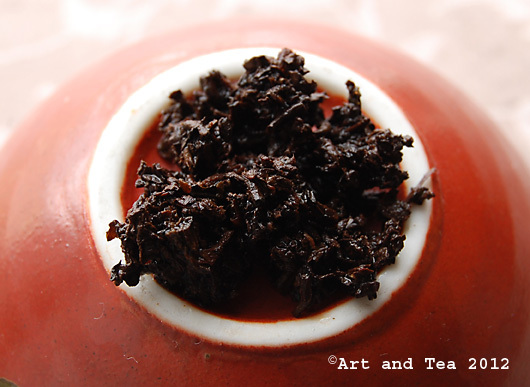 This traditional compressed form of tea has been produced in China for hundreds of years. It was the most common form transported on the ancient caravan routes because it was less susceptible to physical damage and easier to transport. The tea is so incredibly dark, like the darkest chocolate. 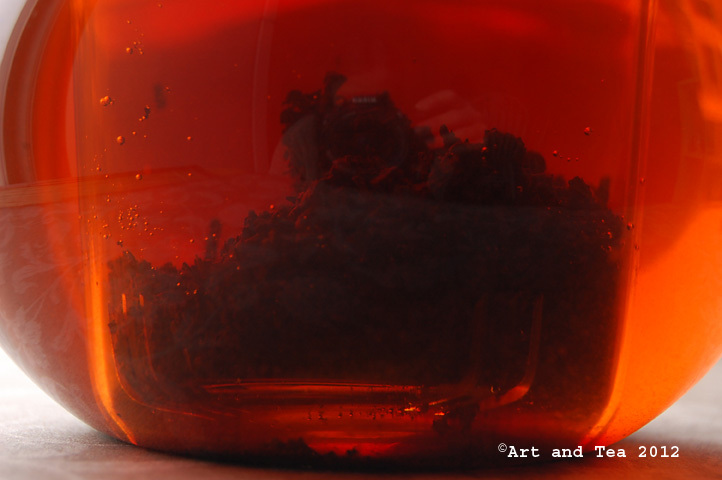 A sweet earthy aroma rises from my glass teapot as I pour my first cup. Although this tea has that quite distinct Pu-Erh flavor of earth and forest floors, it is lighter than other Pu-Erh teas I’ve tried. And it is so incredibly sweet and smooth. There is also a whisper of dark cocoa that lingers in my mouth with each sip. I’m quite enjoying this tea! 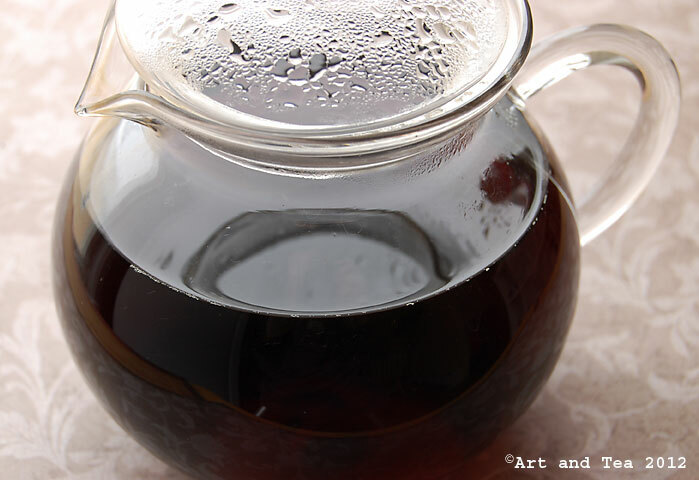 This entry was posted in Black Tea, Photography, Pu-ehr Tea, Tea and tagged compressed tea. I love this tea! It has a lot of health benefits such as lowering cholesterol and regulating blood pressure. It can also help you lose weight and help people with insomnia. I visited China last year. We went to a tea shop where we were introduced to different kinds of tea. I also tried Oolong tea or the oriental beauty. Love the new look! This tea looks so interesting, I hope to try a Pu-Erh someday. Mmmmm! Looks like a brownie. I love pu-erh with chocolate. Now, that is quite interesting. It looks rich. Can’t wait to see your art again. This is similar to bricked tea which can still be found in some places of China today yet at one point in history was the primary method of processing tea. This sounds like a great earthy tea!